The Cultural Caravan for Peace is alive and kicking! The Cultural Caravan for Peace is alive and kicking! 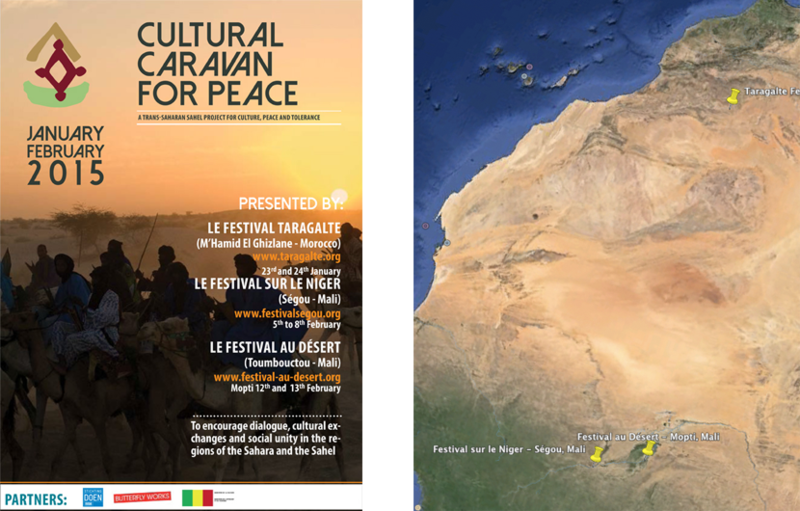 Once again the Caravan will spread its message of peace and tolerance at Festival Taragalte in Morocco and at Festival sur le Niger and Festival au Désert in Mali. Taragalte is already starting mid October. Please join them if you can! The Caravan is coming to Europe this summer! 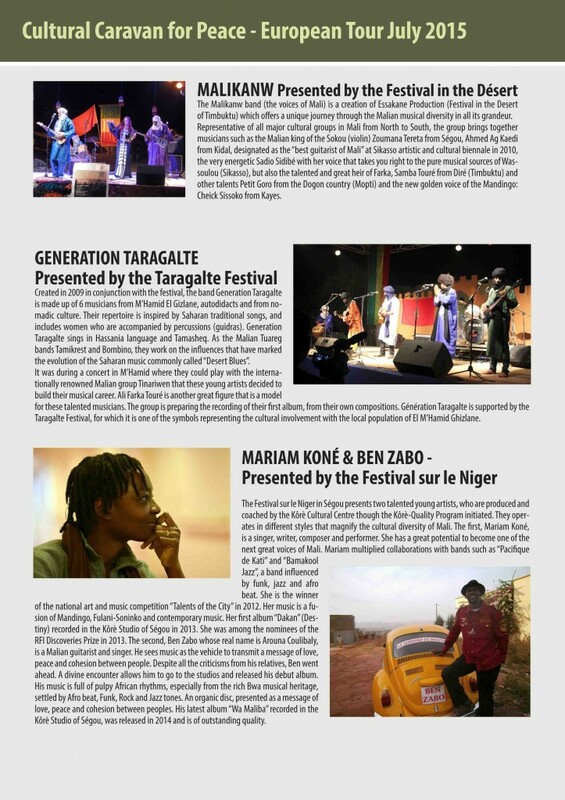 The Cultural Caravan for Peace started with the Taragalte Festival in M’Hamid El Ghizlane (Morocco) from 23 to 24 January 2015. After that it travelled and arrived at the Festival sur le Niger in Ségou (Mali) from February 4 to 8, 2015 with performances on the river. 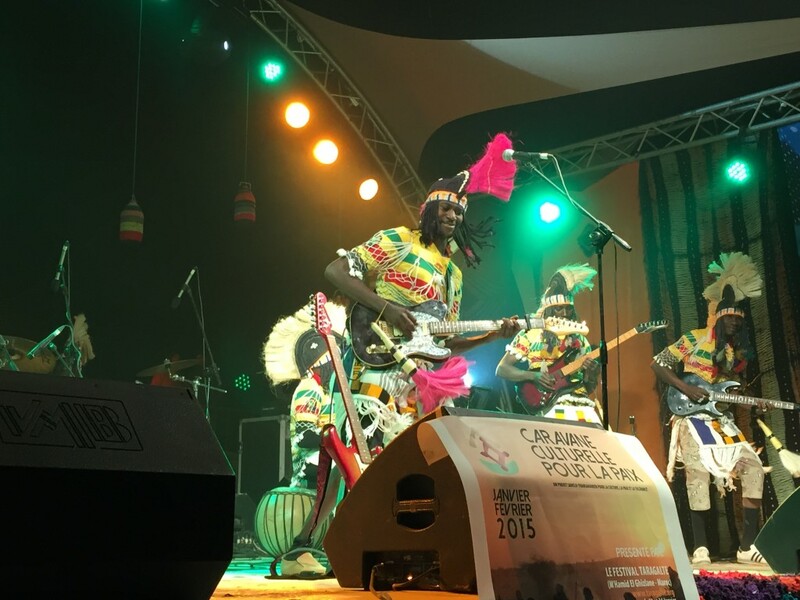 Finally it ended its first step in Bamako (Mali) on 21st of february 2015, where the ‘Peace Night’ took place on the banks of the Niger, organised by the Festival au Désert. Cultural Caravan for Peace will be a great time of sharing and communion among peoples of the Sahel and Sahara. 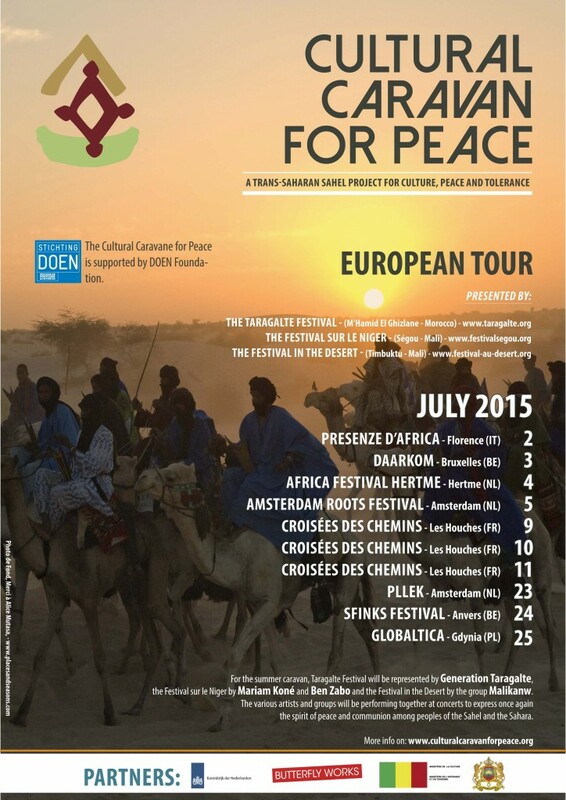 Later on in the year, the Cultural Caravan for Peace will travel to Europe.